Our Beer Bike is a unique experience. 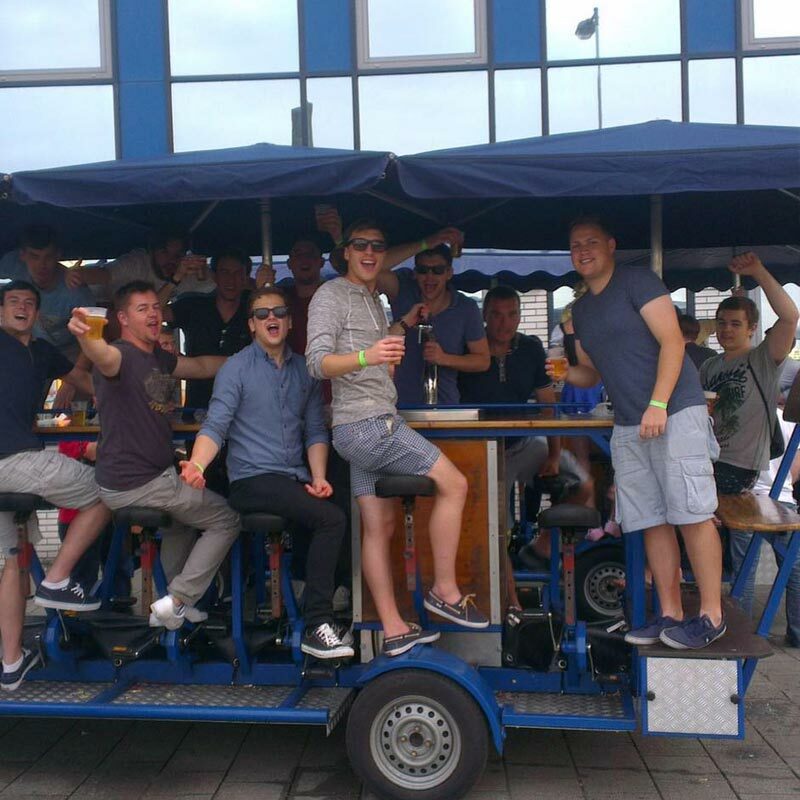 Climb aboard our mighty beer bike, for one of the best rides of your life. Our driver will lead you around a tour of the city to see the sights and enjoy some cold drinks on the way!